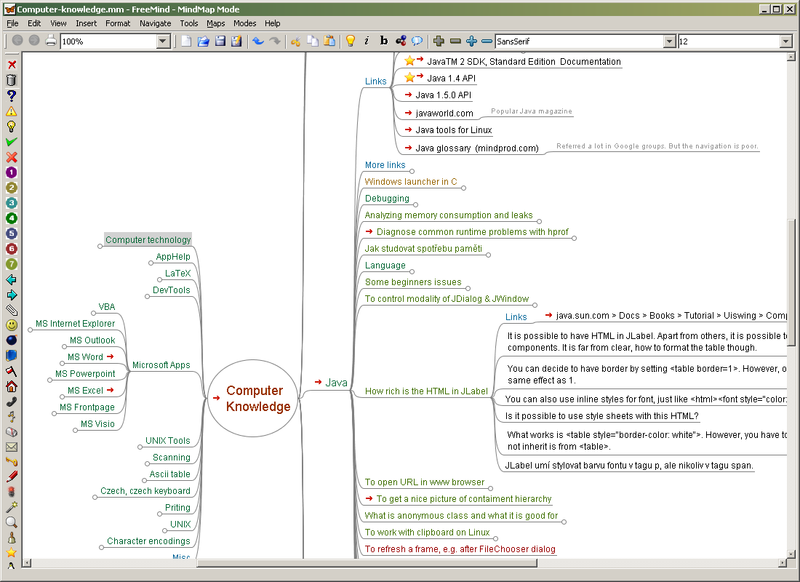 FreeMind is a premier free mind-mapping (https://en.wikipedia.org/wiki/Mind_map) software written in Java. The recent development has hopefully turned it into high productivity tool. We are proud that the operation and navigation of FreeMind is faster than that of MindManager because of one-click "fold / unfold" and "follow link" operations.